Living in one of the largest cities in the West comes with a unique set of challenges for both homeowners and the landscapers that look to help them. With water being one of our most precious of resources, we understand the highly important role we play in the area’s conservation of water and strive to always use naturally, water-stingy plants and trees that thrive in the Phoenix and Flagstaff areas without human help. By focusing a concentrated effort on xeriscaping, our focus is to help our desert community sustain both its beauty and water resources as we continue to grow as one of the West’s largest metro areas. Xeriscaping is one of the most effective ways to reduce the amount of water you expend on your landscaping. Where many people believe that a complete overhaul is needed, we can actually add xeriscaping without the need of an extreme landscaping makeover. 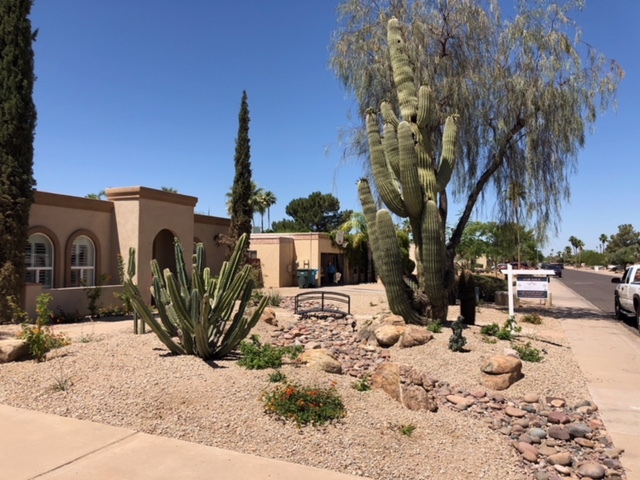 By using the plants and trees that are native to the desert and emphasizing their beauty with a variety of landscaping elements, we work to both beautify your outdoor living spaces and sustain local water sources. Proper xeriscaping not only adds to your personal landscaping, it helps to lower your monthly water bill and relieves you from time-consuming maintenance chores. Find out more about xeriscaping and all of its benefits by calling our customer care team for a FREE estimate now and start conserving water beautifully today.